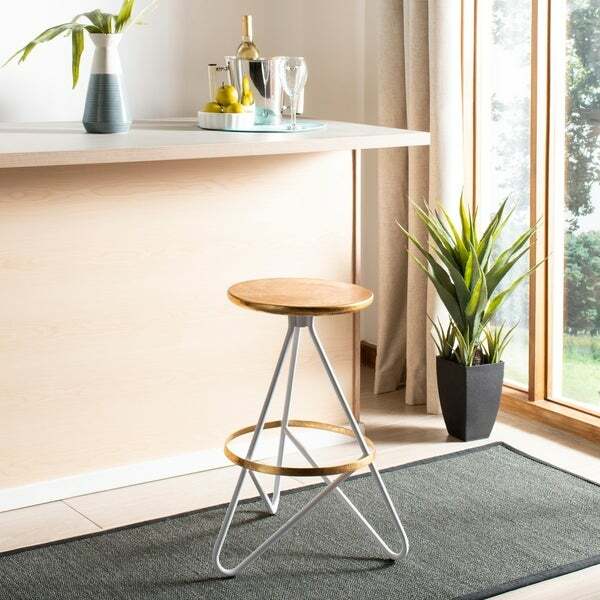 Safavieh 24" Galexia Counter Stool - Gold / White - 16.5" x 16.5" x 24"
Inspired by retro, industrial style, this fun metal counter stool is the life of the party. Crafted with iron and finished in white and gold, its bold sculptural foundation adds vintage, whimsical style to any bar, kitchen island or entertaining area. Dimensions 16.5 In. X 16.5 In. X 24.0 In. Safavieh 30" Galexia Bar Stool - Antique Copper - 18" x 17" x 30"